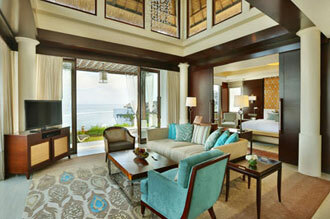 Samabe Leisure Group has announced the opening of its newest collection: Samabe Bali Suites & Villas. 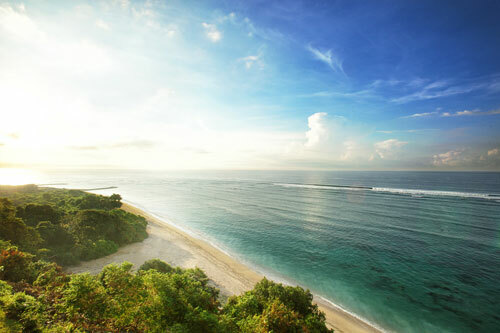 The new Bali beach luxury resort is located in the Southern part of Nusa Dua area, only 30 minutes from Ngurah Rai International Airport. Samabe Bali Suites & Villas resonates beauty and sophistication in a harmonious combination of contemporary and Balinese styles. Edgy, sophisticated details that accentuate objects such as wall decorations, chandeliers, or tabletops reflect the service attitude that assures you that your unique individual needs and preferences will be well taken care of and with such meticulous attention to details. These values echo steadily and harmoniously as you step into your room and in every corner of the resort. 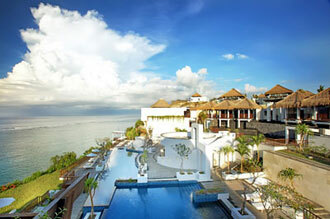 Samabe Bali Suites & Villas, soft opening on June 1, 2013, features 39 luxury suites, 7 penthouse villas, and 35 freestanding villas on an 8-hectares resort that is blessed with a private white sandy beach with turquoise blue waters. Each of the Ocean Front Suites measures 135 square meters, whereas each of the Ocean Front Pool Suites measures 180 square meters, including a 6 x 3 m private pool. Samabe suites come with options of studio open plan style – with a bathroom with a view – and separate living and bedroom. Earth colors accentuated with vermilion create a decorous passionate ambiance. All suites in Samabe boast full ocean views and come with a generous balcony and a private telescope to gaze at the evening sky. Staying at the luxury of Samabe Bali Suites & Villas means that guests will receive, at the very least, standard benefits that include daily full breakfast that can be taken at Rempah-Rempah Restaurant or in the privacy of their suite or villa, daily afternoon tea, daily free-flow of juices, soft drinks, coffee & tea, daily refill of the minibar, complimentary in-room wireless Internet connection, 24-hour butler service, unlimited use of non-motorized water sport, and more. 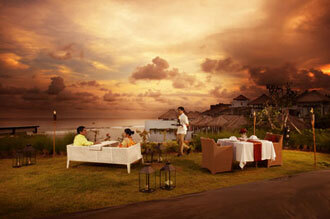 "Unlimited Privileges" is a whole new class of luxury all inclusive whereby guests will be spoiled without end. With a surcharge, a guest with Unlimited Privileges will enjoy all the standard benefits plus premium benefits, such as daily cocktail hours, daily 24-hour selection of gourmet, organic, Balinese, Asian and Mediterranean cuisine, daily unlimited laundry, and daily one Samabe Signature activity. Samabe Bali Suites & Villas is proud to present outstanding food and beverage outlets within the resort for magnificent culinary experience to entice visitors' taste buds. Rempah-Rempah Main Dining Room is open daily from 06:00 till 23:00 hrs, presenting spices, colors, flavors and fragrances of Pan Asian cuisine. Opulent breakfast buffet is served in this main dining area, along with a selection of a la minute dishes specially prepared in the open kitchen by Samabe's talented chefs. Lunch and dinner are served a la carte. Crystal Blue Ocean Grill comes forward with its fresh Mediterranean cuisine, succulent seafood and grill selection in a magnificent ambiance supported by magical vistas of the ocean. Adjacent to Crystal Blue is Ring of Fire Pool Bar, strategically located by the main pool, and is seductively attractive with its selection of bar snacks and cocktails. Te. Ja. Co. Lounge & Bar teases in by presenting three elements that make its unique name: tea, jamu (traditional health drinks), and coffee along with other premium beverages. Assorted finger-licking traditional Indonesian bites are offered on the menu. 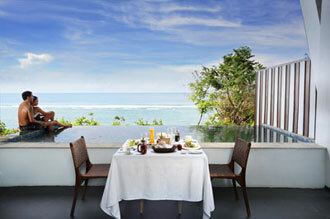 Samabe Bali Suites & Villas presents a selection of venues for a fairytale Bali wedding. Pearl Chapel is a contemporary majestic glass wedding chapel blessed with a breathtaking 180-degree view of the Ocean. When a wedding means an utmost intimate moment, one of Samabe villas can be the option. Ring of Fire sits central within the resort for an upbeat yet elegant wedding celebration. Located by the poolside overlooking the spectacular Indian Ocean, wedding at the open-spaced Ring of Fire will radiate joy and invite everyone around to send their blessings. For any romance and wedding inquiries, Samabe Bali Suites & Villas is proud to have an experienced Director of Romance with a dedicated, lively-in-spirit wedding team to assist from the moment of planning to the moment of execution. Contact wedding@samabe.com for more information. 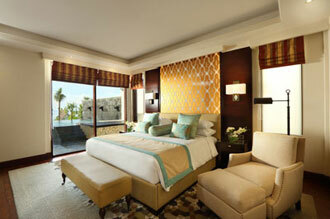 Extend your luxury stay and receive better offers from us! Stay at least 3 nights and get a 20% discount. Or, even better, stay minimum 6 nights and get a 25% discount. 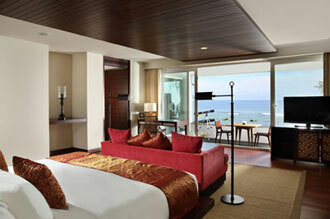 These special deals are applicable for accommodation with Standard Benefits. Surcharges apply for Unlimited Privileges. For inquiries, please contact our Director of Sales & Marketing, Mr. Yani Wongsowinoto, at dosm@samabe.com.